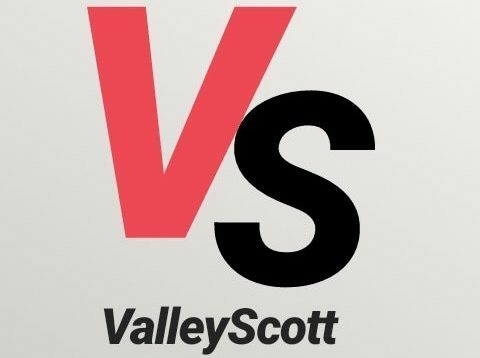 Can you believe it’s been ONE YEAR since I launched The ValleyScott Blog?!?!?!?!? It has been a crazy year for sure. So much has happened that I often have difficulty processing it all. I started this blog as a place to just share a few thoughts and experiences, but it became something else. Something more. It became a place where I felt I could help and encourage people. A place where I could pass on a little knowledge, a little fun, a tidbit or two of wisdom, and maybe make our community just a little better. I think I’ve done that. Over the past year I have posted over 170 articles, reviews, videos, and letters. I’ve written over 100,000 words. Some good, some not so good. I’ve had a total of over 13,000 visitors and almost 77,000 page views. For a blog written by a non-celebrity, basic nobody I have to consider that pretty darn good. I honestly feel this endeavor haas been a success. Between the Blog and Social Media I have about 800 actual followers. Every month over 1,200 different people visit my blog. Some come once, some come often. My most popular post to date has been my review of the website YesBackPage (Review: YesBackPage) with 2,341 views. My least popular is a post I wrote about suffering from migraines (Migraines) and not being able to write or play with just 14 views. I am proud of the range of topics that I’ve covered over the past year. Early on I thought it would be a challenge to come up with new things to post 2 or 3 times a week, but it really has been easy. Most of what I write is a response to what my readers and friends have asked or commented on. A few of you have been great at inspiring me with your questions and thoughts. Along this journey I have had the opportunity to talk with so many different people and learn much more than I’ve been able to pass on. At this point I feel as though I have enough material for at least another year of writing, but I know I’ll be putting aside much of that to discuss new topics (and old ones) that come to my attention. I’ve enjoyed getting to be a part of this community. Many of you have expressed how much you enjoy and appreciate my work, and I thank you for that. You make this worth doing. But I can’t ignore the critics. There have been many. Few of them have been constructive in their criticism. Most of them have been downright cruel in what they say. But everyone is entitled to their opinion. I am as much a defender of Free Speech as I am a practitioner. I wish you liked my work, but I know that I cannot make everyone happy. And I’m okay with that. My fans far outnumber my critics. I wish I could list all the people that I want to thank for helping to make this an amazing adventure, but that would make for far too long a post. But I do want to say thank you to my small group of financial supporters–I wish there were more of you, but I appreciate you all the more for your loyalty and generosity. I also want to thank the large number of people who support me on Social Media through boosting, retweeting, and sharing–you bring the people to the blog and I love you for it! And a special thank you to a small group of true friends–you know who you are–who are always there for me with sage advice and encouraging words. You’re the BEST! This has been a great first year. There may have been a few bumps along the road–both personally and professionally–but it’s been a great ride. I can’t wait to see what the next year has in store! Congrats on one year of supporting our community ❤️ I send many to this blog because it helps the newbies get started IMO and takes the pressure off of me (a provider) to have to “teach” how to approach a provider like a gentleman. Congrats to your first year!! Congratulations on the one year mark!! Hope you are doing this for many years to come!! Many congrats. I’ve certainly enjoyed reading the blog and look forward to many more posts.